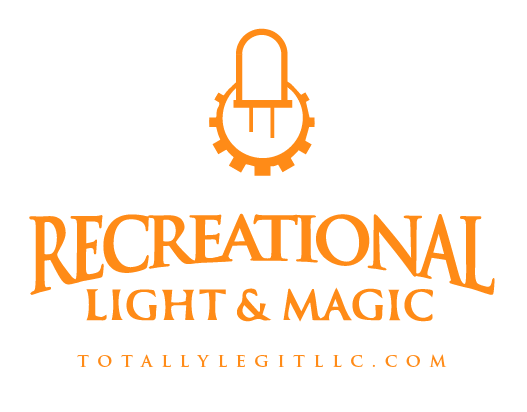 Home Archive by category "Totally Legit LLC"
It’s official, we are dropping the “Recreational Light and Magic” part of our name. We were calling ourselves Recreational Light and Magic (a Totally Legit LLC) as a bit of culture hacking, jabbing the Star Wars’ parent company Industrial Light and Magic. Thanks to Jeff, we even had a set of matching Logos! Somehow, Industrial Light and Magic never noticed. However, it has just been too much of a mouthful. So as of this week — we are just Totally Legit.